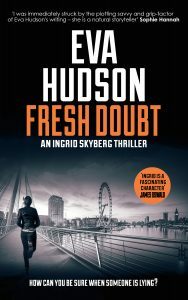 The second adventure in Eva Hudson’s enormously popular Ingrid Skyberg series. Special Agent Ingrid Skyberg was the last person to see her best friend alive when they were fourteen. The haunting memories of that night shaped Ingrid’s life, driving her to become one of the toughest agents ever to join the FBI. Supremely fit, doggedly tenacious and virtually indestructible, Ingrid now works out of the US embassy in London. Madison Faber, a brilliant psychology student at a prestigious London college, has discovered her friend’s body in a pool of blood. Now she’s in police custody being questioned for murder. Protesting her innocence, Faber fears the killer will target her next and persuades Ingrid to hunt him down. But the deeper Ingrid digs, the deadlier the case gets. 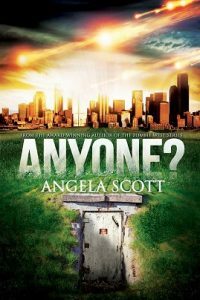 And when she uncovers a sinister group operating within the psychology department, Ingrid is in far more danger than she realizes. Up against the clock, and disobeying strict FBI protocols, Ingrid’s obsession to bring the killer to justice takes her far beyond the law. So far she may never get back. Unlock the thrills and twists of this up-all-night crime thriller series, perfect for fans of gripping mysteries, strong female detectives and any reader who has ever wondered if there’s a female version of Jack Reacher. There is, and her name is Ingrid Skyberg. After years of enjoying thrillers and police procedurals by authors like Lee Child and Michael Connelly, Eva was inspired to write thrillers herself. In 2011 she won the inaugural Lucy Cavendish fiction prize for her first novel, The Loyal Servant, and never looked back. “Men’s hearts shall fail from fear…for the planets of the heavens shall be shaken” (Luke 21:26). 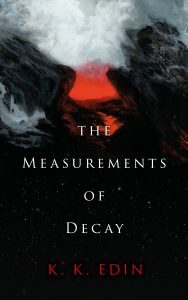 When rookie astronomer Irina Kirilenko discovers a planet-size comet in the Kuiper Belt on a collision course for Mars, she first faces stonewalling from the Minor Planet Center, then coercion and stricture from NASA. They press her to embrace an ingenious reinterpretation of her discovery and ban her from talking about it. It slowly dawns on her that the government is fostering a massive conspiracy to keep the public oblivious to the truth—Earth is facing an existential threat. Unwilling to be silenced, she recruits fellow astronomer Ariele Serrafe to evaluate her discovery, placing both in the crosshairs of government agents. 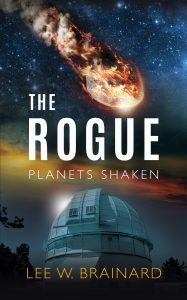 Set in a dystopian vision of the near future, The Rogue, the first volume of the Planets Shaken series, weaves the threads of biblical prophecy, ancient history, government conspiracy, and electric universe theory into a thought-provoking, tensely plotted thriller—one that asks us to reconsider the nature of the universe and the destiny of the world. Three lives intertwine across space and time. A defeated renegade wasting his days on a starship headed for disaster. A girl who travels through Bolshevik Russia, Medieval Norway and 1950’s America. A broken philosopher maddening himself trying to save humanities and solve the mysteries of life. This is a science fiction epic spanning centuries.